Obituary for Il Boo - Jang | Donaldson Funeral Home of Clarksville, P.A. IL BOO JANG, 76, passed away on Wednesday, January 16, 2019 at Johns Hopkins Medicine - Howard County General Hospital in Columbia, Maryland. He was born on June 17, 1942 in Incheon, Korea to Man Rin and Sun Yong Jang. He attended Incheon Hae Sung Middle School and Incheon High School. He earned his Bachelor’s Degree in Pharmacy in 1965 at Sung Kyun Kwan University in Seoul, Korea. He worked as a staff pharmacist at Chong Kun Dang Pharmaceutical Company in Korea. He immigrated to the United States in 1973 and worked in the Department of Pharmacy of Howard University Hospital, Veterans Affairs Medical Center, and the University of Maryland Medical Center where he retired in 2004. 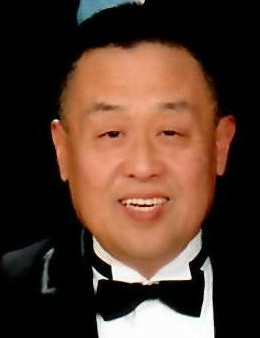 Il Boo previously served as the President of the Korean Pharmacists Association of Washington DC, Maryland, and Virginia. He also served as Vice-President of a local Korean organization that conducted voter registration, health screenings, and flu vaccinations. Il Boo loved gardening and had a green thumb. He grew vegetables and a variety of seasonal flowers. He was an avid music lover, loved singing, and played the trumpet, flute, and piano. He enjoyed watching the Korean news, dramas, and musical variety shows. Il Boo was an incredible man with a great sense of humor and a loving, compassionate heart. He is survived by his beloved wife of 38 years Belen, son Joel Hae Won (Alice), daughter Christelle Mi Hyeon (Eric), and 3 beautiful granddaughters that he adored, Lauren Ji Soo, Clara Young Mi, and Vera Sun Mi. He is also survived by his mother Sun Yong Jang, siblings Eun Sook (Won Pil), Kwang Chul (Jung Hee), Kyung Sook (Young Moo), Keum Sook (Young Tai), Young Chul (Wae Ran), nephews and nieces - Young Jin, Hong In, Hae Kun, Hae Jin, Hyung Pil, Sin Ae, Hee Jung, Youn Jung, Mi Jin, Mi Kyoung, and Hae Kwon. Viewing will be held on Tuesday, January 22, 2019 from 10:00am to 11:00am at Oakdale Church, 3425 Emory Church Road, Olney, MD 20832 followed by a funeral service at 11:00am. Interment will follow at Norbeck Memorial Park, 16225 Batchellors Forest Road, Olney, MD 20832.